édité le 28/03/2017 - Plus de news de "CHEVRON" - Voir la fiche entreprise de "CHEVRON"
Chevron Australia announced the start of liquefied natural gas (LNG) production from the third train at the Chevron-led Gorgon Project on Barrow Island off the northwest coast of Western Australia. 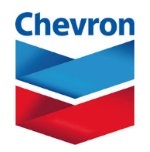 - The Chevron-operated Gorgon Project is a joint venture between the Australian subsidiaries of Chevron (47.3 percent), ExxonMobil (25 percent), Shell (25 percent), Osaka Gas (1.25 percent), Tokyo Gas (1 percent) and JERA (0.417 percent). - The Gorgon Project started first production on 9 March, 2016 with first LNG cargo sailing away on 21 March, 2016. - The Gorgon Project is a three train, 15.6 million tonne per annum (MTPA) LNG plant on Barrow Island and a domestic gas plant with the capacity to supply 300 terajoules of gas per day to Western Australia. - The Gorgon Project incorporates one of the world’s largest carbon dioxide injection projects aimed at reducing overall greenhouse gas emissions by approximately 40 percent or 3.6 MTPA.